While decorating the dining room and living room, some important considerations should be kept in mind so that you can satisfy your taste and needs at the same time. Dining and living rooms are the centre rooms of any house. Most of the houses have these rooms at the most visible locations, therefore everyone wishes to impress their friends and families by making an ordinary place look extraordinary. Before you opt for any shop to buy your dining and living room furniture, you need to be sure about your personal choice and your needs. Contemporary collections can be a good choice depending upon your preferences. 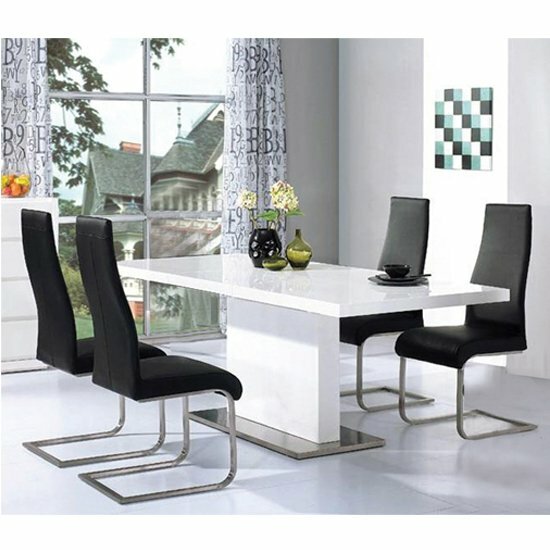 When purchasing furniture for the dining room, the most prominent feature is the dining table and chairs , which is the most reflective aspect of the room. Earlier there used to be either Royal Empire Style or the Victoria Style but, those were very particular. Nowadays you can go for the option of a mix and match style. You can have the modern along with historic touches in your home. Furniture should be bought that not only satisfies your needs but also blends with present styles. While purchasing the dining and living room furniture , the tone of the wood should be checked, elegance should be its part and it must add functionality to your house. Material must be given preference. Living rooms also have relaxing accessories that may include a rocking chair, some cushions, TV and its unit and other contemporary collections. People often merge the dining and living room which can help you buy accessories. If you have a joined living and dining room, then along with dining table and chairs, some decorating items should also be bought, so that people while having dinner can admire your contemporary and unique taste.